One of the parts of our weekdays that has become more or less predictable is our midmorning. 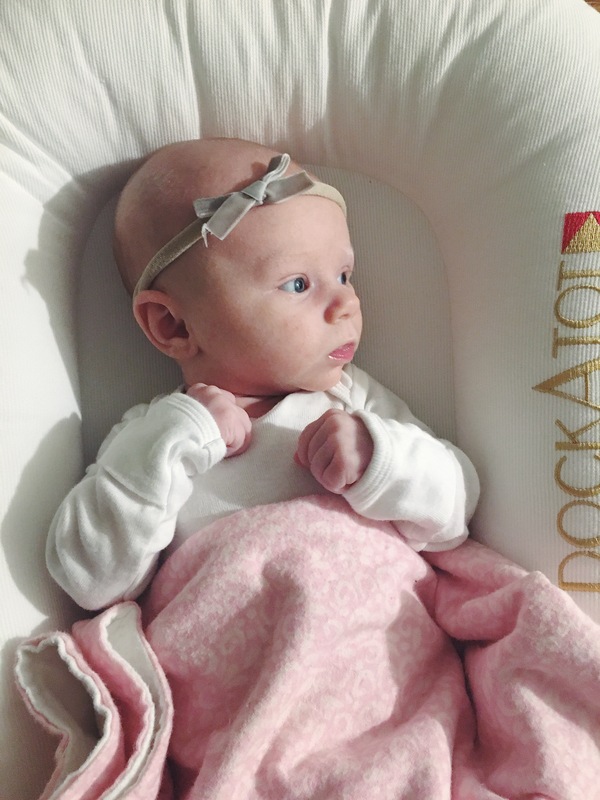 The way our sleeping patterns are going right now, Sophie usually eats around 6 or 6:30 in the morning after a couple earlier nighttime feedings, and then she and I try to sleep for another hour (maybe two). So, we end up downstairs in the kitchen around 8:30 or 9 am, by the time we’ve gotten our act together. It’s amazing how quickly time evaporates in the morning. As an elementary teacher, I’m accustomed to starting my days early (around 5:40 am like last year), so this is a strange new schedule for me! Even though it’d be nice to get ourselves up and downstairs around 6:30 am, little Sophie’s needs, and our need for sleep, dictate that we do otherwise. I do dearly love the peaceful midmorning time she and I have together, though. While Sophie takes a little nap and I’m moving about the kitchen and living room, I like to get some peaceful music going throughout the home. I have a radio/speakers with Bluetooth on top of our fridge – I love it so much because I can control the songs and the volume directly from my phone! And when I turn the volume up, it really plays nicely throughout the whole downstairs level of our house! It has been so nice to get into a “mini routine” around here – at least, a routine that involves midmorning house cleaning with cozy, peaceful music floating through the home. I’m a firm believer that music really affects our moods, so turning on peaceful music is a great way to set the tone for our day! 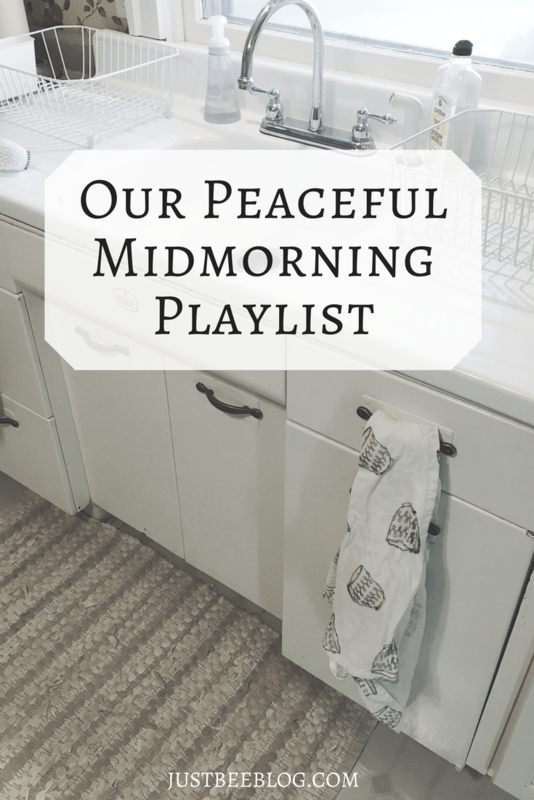 Today I wanted to share my peaceful music playlist with you! It’s one of my Spotify playlists and it’s called “Low Key Bee.” 🙂 I’ve actually shared a “low key” playlist of mine before, but I’ve added a ton of songs to it since then. I feel I’ve really been able to craft this playlist to especially fit my personal style. You can click the link HERE to get to the playlist, or just listen below! I hope you enjoy this music, and that it leads you to have your own peaceful morning, too! What low key songs do you like to listen to, in order to set the tone for your day? I’d love to hear what your favorites or recommendations are!